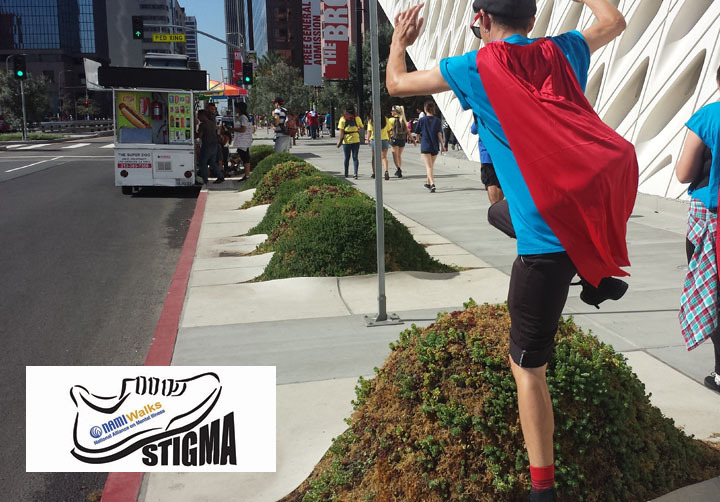 Bayfront Youth and Family Services had an awesome day at NAMI Walk Los Angeles 2015! Thousands of people were walking on the morning of October 3, 2015. With 11 walker’s, the Bayfront team “Bayfront League of Heroes” had earned a total of $1,646.67 for NAMI Los Angeles programming. NAMI, National Alliance on Mental Illness, is a grass roots, self-help, support, and advocacy organization dedicated to improving the lives of families who have relatives with a brain disorder (mental illness). This includes persons diagnosed with a mental illness, relatives, friends, mental health professionals, and all who share NAMI’s vision and mission. For more information on our local affiliate and services available, please visit http://www.namilongbeach.org/. Additionally, it is not too late to offer your support for NAMI! All donations count towards more free services available to the local community. Please offer your support at: http://namiwalks.nami.org/BayfrontYFS2015. Any donations placed at $25 or more will receive a handmade postcard created by our own Director of Development & Outreach.